This medicinal labyrinth has the medieval monastery style. Here you will find a wide collection of medicinal plants from the region and abroad. The end of this labyrinth has a small pond with Coi fish. The Museum holds a collection of minerals, fossils, indigenous artefacts and seeds. It is a small but very broad and interesting collection. 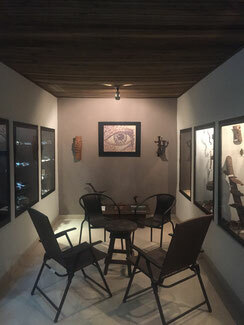 In the Museum, we have a sitting area in case you wish to have a glass or two of wine in good company. The most beautiful part of the Manzanares river is in this region. 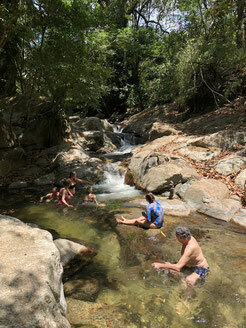 The water is fresh and very welcoming especially during hot or humid weather. The best area to swim is "El pozo del Indio" where you can find an original Tayrona petroglyph. While walking up this river, you can find a couple of waterfalls. 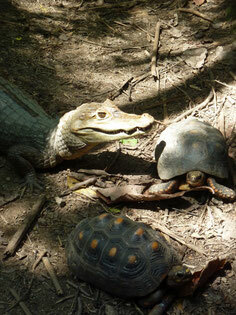 In Caoba, we have encounters with peccaries, arapaimas (pirarucu), macaws, turtles, tortoises and caimans. Some of these animals are a part of social and natural projects. Visitors can come to caoba and do a tour by themselves, participate in an interactive tour, or book a specific tour ahead of time. 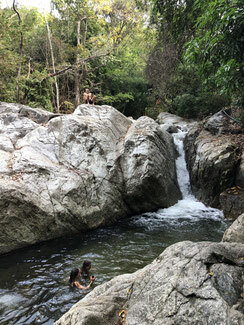 Caoba is located in a region that used to be a big Tayrona town. 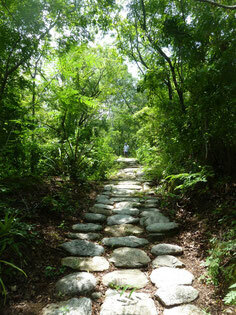 So far, we have discovered and restored 400 mts of Tayrona paths (stoned paths). Koguis are the descendants of the Tyronas. Due to our location and close friendship with them, we have worked with them on different projects located in the Reserve; building a Kogui bridge and Cansamaria. 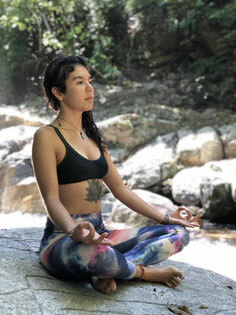 In Caoba we have different places that are suited for meditation and are perfect for one person or a group of people. If you wish to book a meditation space for a big group, please contact us. We have different spaces to practice yoga, for a group or only one person. Here you can find your space to teach yoga, come with a group or practise yourself. Depending on the season, we also offer sessions. If you wish to book a session, please contact us no later than 5 business days before the date. You can send us an email to info@reserva-biologica-caoba.com or you can call us or send a message by WhatsApp to the telephone 0057 - 3157192038 or 3168325731 Please specify if you want a space, come with a group for the day or you are a guest that is going to stay with us. 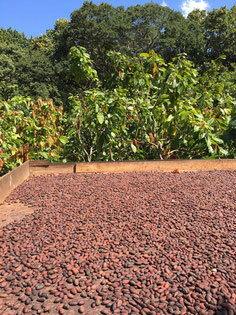 The Cacao Farm is 5 minutes away from Caoba and offers different activities, from a Cacao tour to a Cacao face mask. 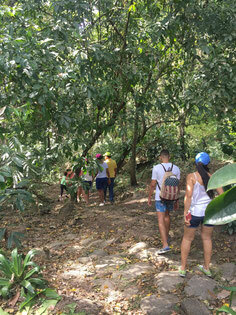 From Minca you can hike to Caoba through forest and farms. This is a very beautiful and interesting trek. In the event you want to hike to Caoba from Minca and stay with us, your hostel/hotel can hire the moto taxi they trust and your luggage can be sent to us via Moto, while you can enjoy a trek, arrive to us and you luggage is already delivered. This can also happen viceversa, when staying in Caoba and wanting to trek to Minca. It is also possible to trek to Caoba, have lunch with us and then go back to Minca with a moto taxi. From Minca to Caoba: Start at 670 masl to 1050 masl down to 340 masl. In the event you want to stay with us or eat in the restaurant, please let us now in advance via whatsapp or email. 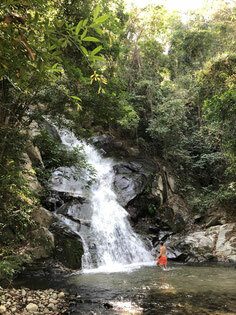 Silvestre waterfalls: the first waterfall is 30 to 45 minutes from Caoba and the seccond is 20 minutes rom the first. 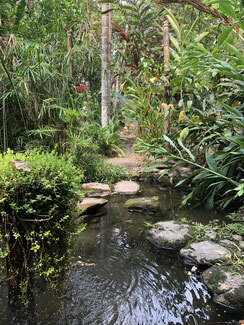 the entrance is 3.000 pesos per person and per waterfall. Pozo del Amor: This is a small pond in a river 45 minutes walking from Caoba. This pond is surrounded by rocks and the formation is beautiful. Why to go to Parque Tayrona for birdwatching when you can come to Caoba and have the possibility to see the same or more birds? In a peaceful and less crowded environment? 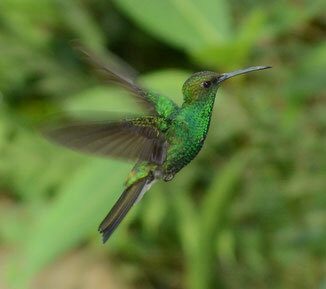 We offer 2 different Birdwatching tours: to the Natural Reserve "La Guacamaya Verde" and to Minca. 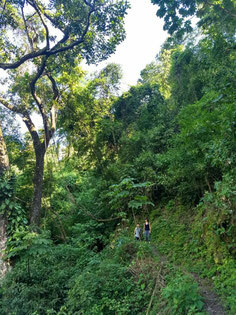 "La Guacamaya Verde" is almost 2 hours walking from Caoba and is pure jungle. The walk to Minca is very interesting, as you will be walking from an altitude of 320 mts a.s.l. to 1050 and then down to 620. You will be seeing different types of birds on the tour.